Unfortunately, the number of road accidents that occur each year does not only involve cars. According to the National Highway Traffic Safety Administration (NHTSA), in 2016, 5,286 riders lost their life in motorcycle accidents in the U.S. Motorcyclist fatalities occurred nearly 28 times more frequently than passenger car occupant fatalities in traffic crashes. If you’ve lost a loved one in a Kansas City motorcycle accident, it is a unfortunate fact that there is nothing our legal system can do to bring that person back. However, our civil justice system does provide a remedy. A wrongful death claim may allow you to recover compensation if the death was caused by the negligent, reckless or intentional conduct of another. To file any wrongful death claim,it’s important to identify the cause of the accident. Motorcycle accidents can result from the negligence of the motorcycle rider or the driver of a car, and sometimes both are responsible. In other instances, a motorcycle accident can be caused by a defective bike, tire, or equipment part, or by poor road or weather conditions. The NHTSA reported that one-third of multi-vehicle motorcycle crashes are caused by other motorists turning into the path of the motorcycle. A wrongful death claim is the filing of a lawsuit against the person or company at fault for the loss of a loved one for the purpose of obtaining financial compensation for your loss. The damages obtained will then be distributed amongst the eligible parties, which may include spouses, children, and stepchildren. Other beneficiaries may also include dependents of the deceased like parents, siblings, and others. It’s important to note that not all deaths qualify for a wrongful death claim. To successfully assert a wrongful death claim involving a motorcycle accident or other type of accident, certain elements that must be established with evidence. First, the death of your loved one must have been caused by the other party’s negligence, recklessness or intentional conduct. This means that you are able to prove that the motorcycle accident was the fault (partial or complete fault) of someone else. For example, if your loved one had followed all traffic laws and regulations and a drunk driver crashed into him, the drunk driver should be held liable for damages. Second, you need to make sure that you are an eligible survivor pursuant to state law. You should contact a wrongful death attorney to determine if you qualify. Third, you will need to show what losses you have sustained from the death of your loved one. This may include loss of income, loss of benefits, or emotional and psychological trauma. While this may seem obvious, expert witnesses, like an economist or health providers, may be helpful in this regard, and a wrongful death attorney can help guide you through the process of identifying others who can help. As with any legal case, a wrongful death claim will only be as strong as the evidence you have to support it. A wrongful death attorney can help with gathering all the evidence necessary for your case by investigating the accident, identifying and interviewing witnesses, getting police reports, video footage, medical and financial documentation and hiring any necessary experts to support your claim. 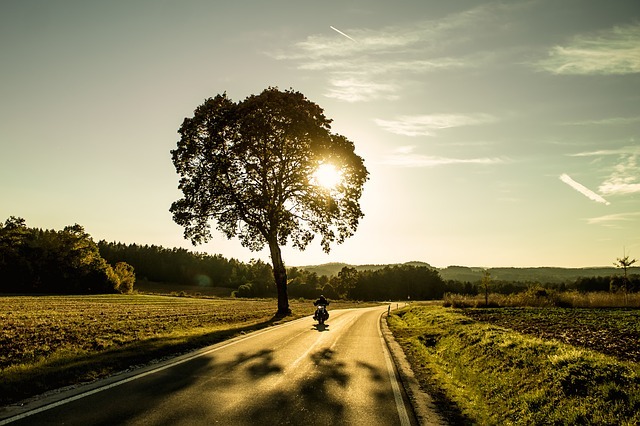 If you’ve recently lost your loved one in a fatal motorcycle accident, we want you to know that we are here for you. Our door is open to discuss any legal questions or needs you may have in regard to filing a wrongful death claim. We offer a free, no-obligation consultation for families of victims in Kansas or Missouri. Feel free to contact our Kansas City wrongful death attorney today to schedule an appointment at your convenience by calling 816-203-0143.